BACK ON THE MARKET, Buyer could not perform. BEAUTIFUL ever-popular HOPI model has great curb appeal in a nice neighborhood. Home includes 2,020 s.f. of spacious living with 2BD/2BA. 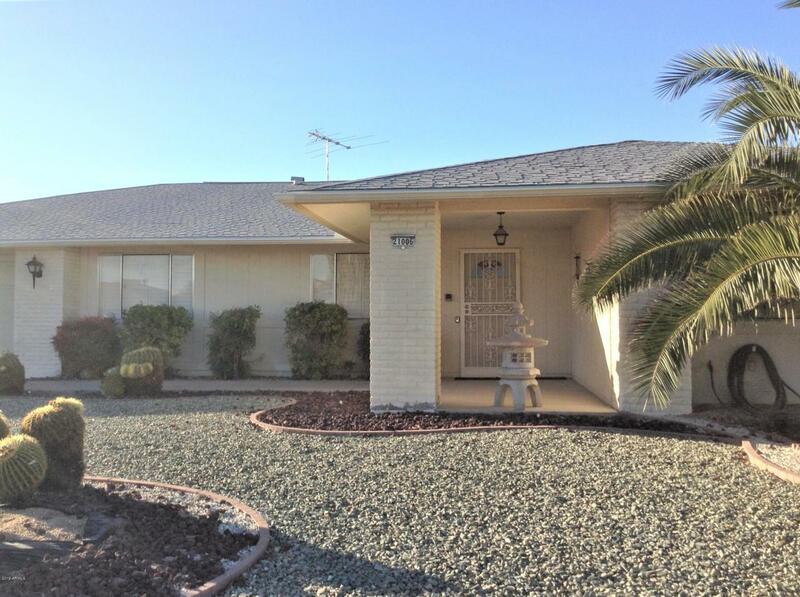 Kitchen and AZ room look out onto an inviting lanai and yard, perfect for relaxing evenings. Features include new carpeting (2018), new kitchen counters (2018) water heater (2017), plantation shutters throughout, spacious eat-in kitchen and vaulted ceilings and adjacent AZ room with many built-ins. Architectural shingles and HVAC (2007). Master bedroom offers a separate dressing area and dual sink vanity. Large laundry/craft/den space with many cabinets. Neutral colors. This home is in an adult community (55+) with nearby Recreation Centers and Golf Courses. MAKE IT YOURS TODAY!